Welcome to gorgeous Southpark, with its highly desirable resort style living featuring amenities galore - tennis courts, parks, community pool, and close by walking and biking trails. Enjoy relaxed living in this open concept, low maintenance townhome. This unit features new interior paint and new carpet! All the windows are Champion double hung windows, downstairs bathroom counter top is granite, upstairs bathroom floor is marble and the closets upstairs are Spanish Cedar. Cozy brick wood burning fireplace! Enter the home directly from the attached two car garage. 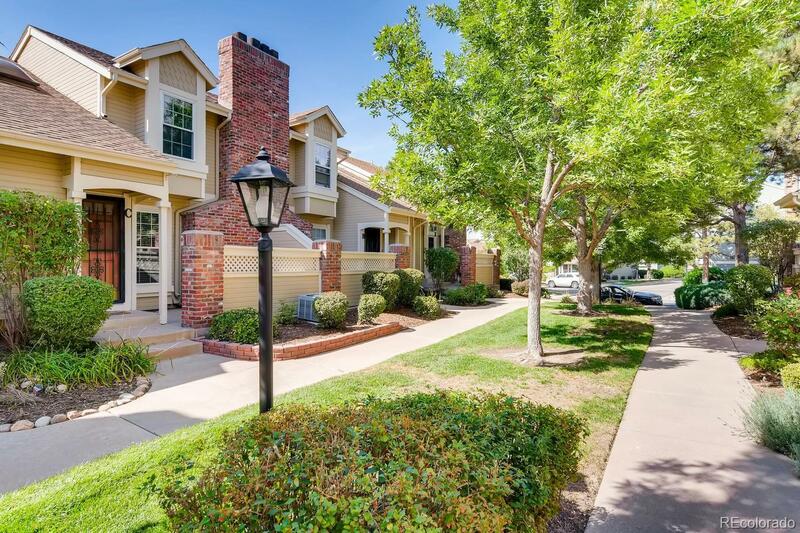 Only a short distance to Mineral light rail station, as well as to shopping, restaurants, theaters, and all the conveniences! MUST SEE!